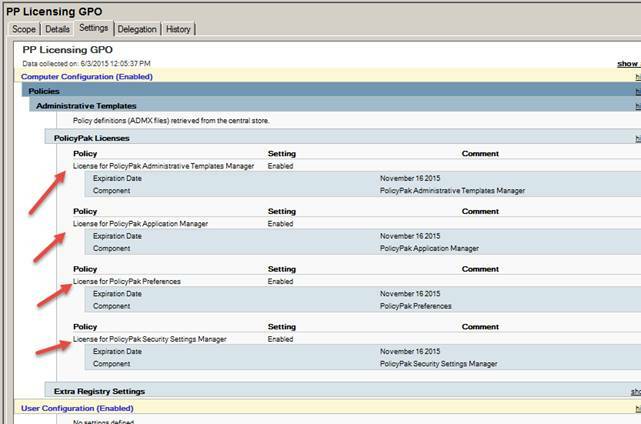 When you buy PolicyPak On-Prem suite you get licenses for EACH product in the suite, so you’ll have to install multiple licenses. If you’re using AGPM, GPA or GPOAdmin, skip this section and jump to the next section. Choice # 1: Using LT to install licenses. 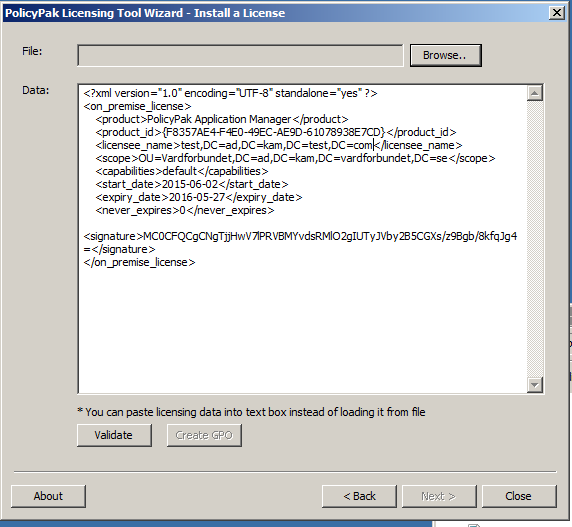 If you are encountering problems, first try to COPY and PASTE the license in…INSTEAD of Browsing for the file. Then press VALIDATE and continue. 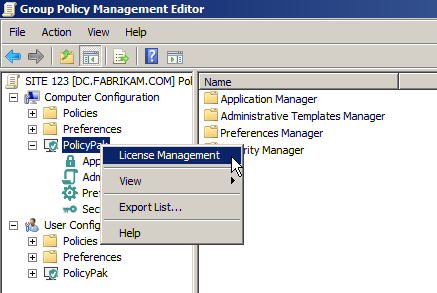 Another way to install license files for PolicyPak On-Prem suite is to use the License Management node, which is found in two places. 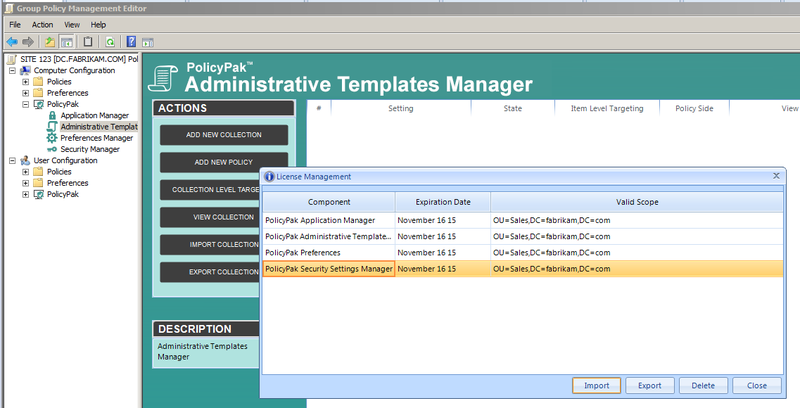 Note: This tip only works when the PolicyPak Admin Console MMC snap in is 759 or later. 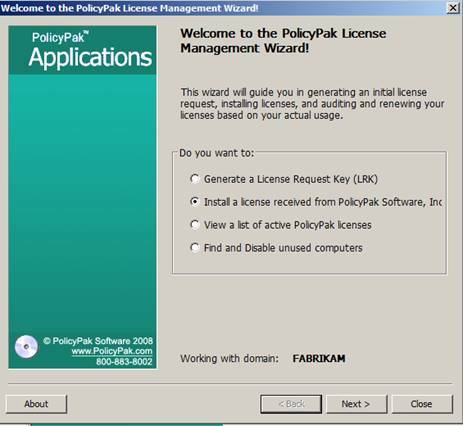 Computer Configuration | PolicyPak then right-click License Management. 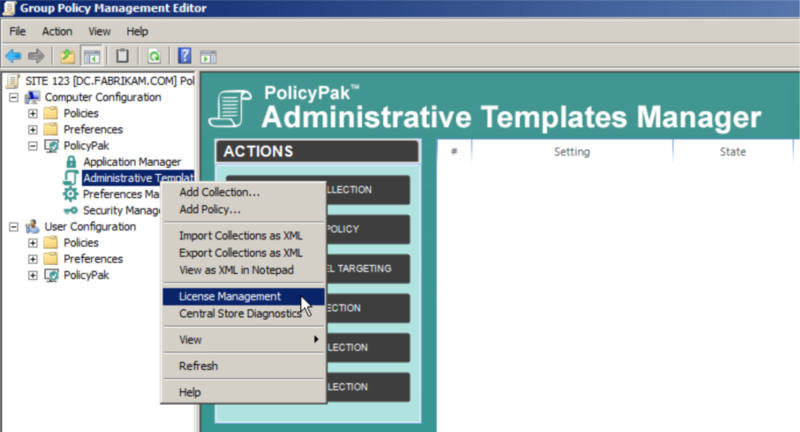 Then IMPORT the licenses received from PolicyPak sales. Finally.. LINK the GPO to where COMPUTERS are. PolicyPak doesn’t care where USERS are located.. only where COMPUTERS are. 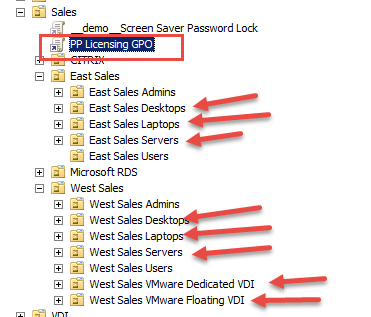 In this example, I’m linking the GPO to SALES OU, where the GPO will flow downward and hit the computers. Note: PolicyPak will not work in UN-licensed locations. Those must be selected when providing your license request key BEFORE your licenses are cut.